However, in the case of ODA commitments, the glass isn’t quite half full. Rich countries pledged to increase ODA to 0.7% of Gross National Income (GNI) — a target that was supposed to be reached by 1975. Since then though, ODA from DAC countries has only averaged 0.3% of GNI. And, as the chart below shows, the trend is no better. Donors started off badly in the 1970s, got let generous in the 1990s (after the Cold War) and then ODA picked up a bit in the 2000s. Source: OECD DAC Aid Statistics. Underlying data available here. Given that ODA has only averaged 0.3% of GNI, it appears that donors may have thought that the 0.7% target was non-binding. Last week, an UN tribunal upheld a challenge to the ‘best efforts’ caveat and found that the 1970 pledge is both legally binding and enforceable. This landmark ruling opens up the possibility of legal action — either by individual developing countries or a class action — to recover the unpaid ODA. A prospect that is a very grave concern to the stability of the international aid system and its architecture. So how much development aid is owed? 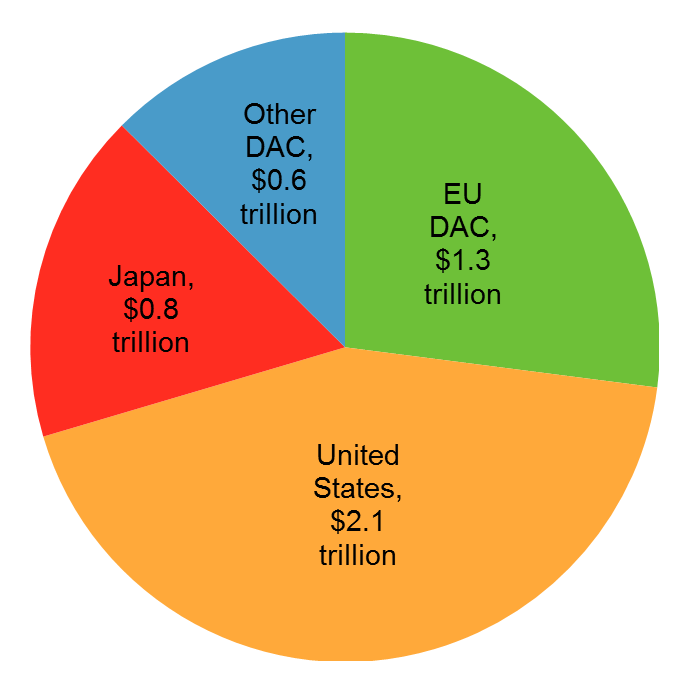 The biggest aid arrears are owed by the United States ($2.1 trillion), with a further $1.3 trillion from the EU, $0.8 trillion from Japan and $0.6 trillion from other DAC countries, including Australia, which owes developing countries almost $120 billion. Source: OECD DAC Aid Statistics and author’s own calculations. Note: Arrears are in 2012 constant prices. Italy is the most indebted with a stock of aid arrears of about 16% of GNI. The US and Japan both owe about 13% of GNI. The UK owes 8% of GNI, despite its recent legislation for the 0.7% target. 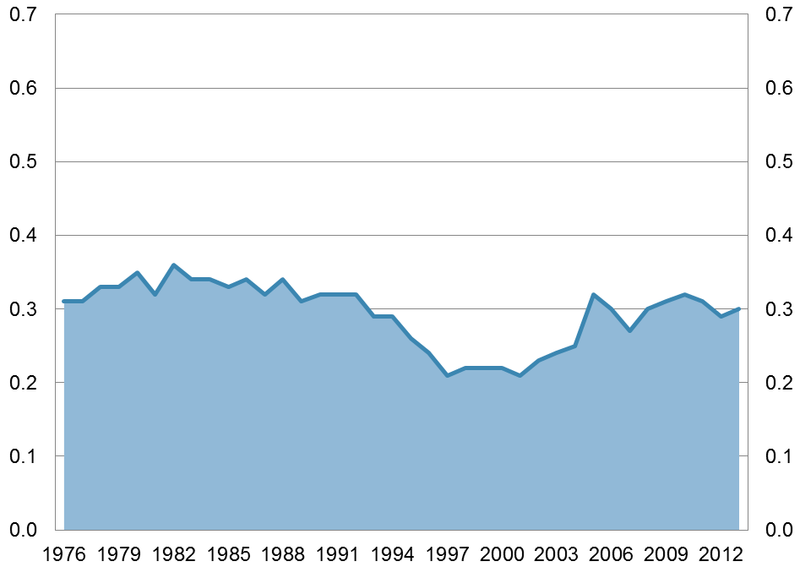 Australia also owes about 8% of GNI, though that amount will increase as current aid continues to fall. 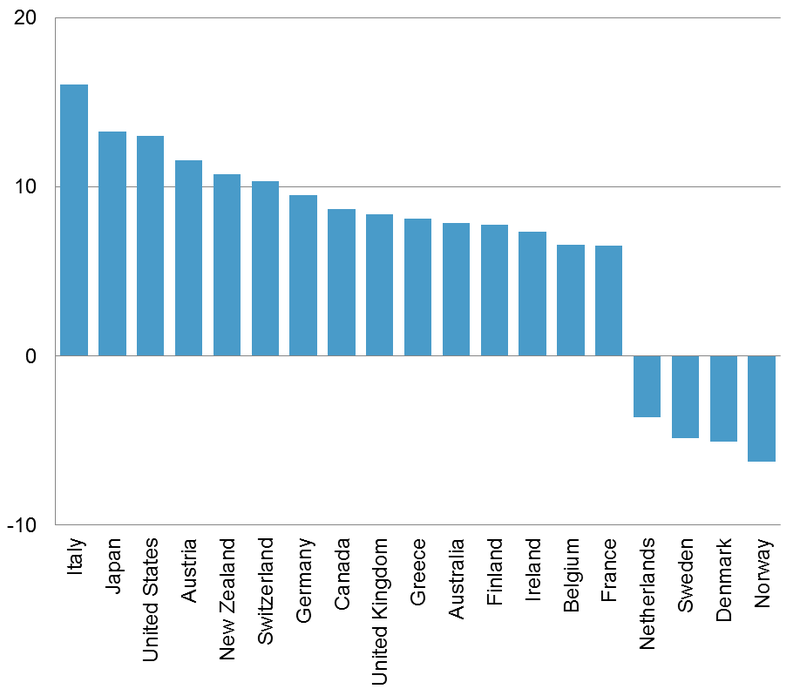 Only four countries — Netherlands, Sweden, Denmark and Norway — owe nothing, having exceeded the 0.7% target. Given the scale of the aid arrears, and with many rich countries still reeling from the GFC and high public debt, many will find it impossible to pay up. Note: Aid arrears are in 2012 constant prices, and GNI is for each member in 2012. Yet how should poor countries deal with the debt and assist rich countries in restoring some level of moral creditworthiness? 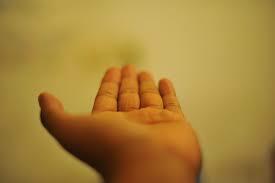 All rich countries with arrears on aid payments would be eligible for assistance. Obviously, countries would need to establish a track record of performance before any debt relief could be given. And this would be in the form of rich countries honouring the 0.7% target. Once a country met the 0.7% target, then the arrears on aid payments would be frozen. Then after a period of five years, during which the country would have maintained and delivered the 0.7% target, the country would be eligible to reach a ‘completion point’ at which time they would receive 100% debt relief on the aid arrears. Some critics might argue that after ‘completion point’, rich countries might go back to their bad old ways and start accumulating arrears of aid again, but for now lets assume that they will do the right thing. Other critics might argue that this whole scheme is totally absurd and unrealistic. I agree. I cannot imagine why poor countries would forgive such a large debt, but rich countries can at least try to persuade them. It is by no means clear that poor countries would accept the reverse HIPC proposal, but if such an offer were to be made, then rich countries would be foolish not to accept it. Matthew Morris is an economist specialising in aid and development policy and has twenty years experience. He helped establish Devpolicy and served as its first Deputy Director. Please note the date of publication for this post: April 1. Matthew Morris helped to establish the Development Policy Centre and served as the Centre’s first Deputy Director. Matt is a development economist with 20 years’ experience. He is currently a board member of the Pacific Institute of Public Policy and independent consultant. The wonder Matt is that so many of the real development policies are not released on April 1 each year eg unpredictable aid support, lack of focus on the poor, funding to support donor country businesses, attempts to pretend that giving a tiny amount compared to need is really being very generous … I don’t think the day is long enough to cover everything. Thank you for enjoying this #DevelopmentAprilFools: Devpolicy for being game, Owen for spreading the joke and Laurence for your generous comments. Alas, there has been no ruling requiring donors to cough up their unpaid aid, nor a ‘reverse HIPC’ to help them with their ‘moral creditworthiness’. Yet the blog does have a serious message–ODA over the last forty years has been just a fraction of the amount promised. Is it a coincidence that this article is being published on 1 April?